We're trying to compile a list of known, trusted sources, both local and web based, for "stuff" that Hams want to buy. If you know of a trusted source not already listed here, or think one of the sources listed is not correct or untrustworthy, send the webmaster an email. We've borrowed and referred heavilly to one of the web master's favorite web sites, If you haven't updated your bio listing on this site (free service) then you need to go there now and take care of it. 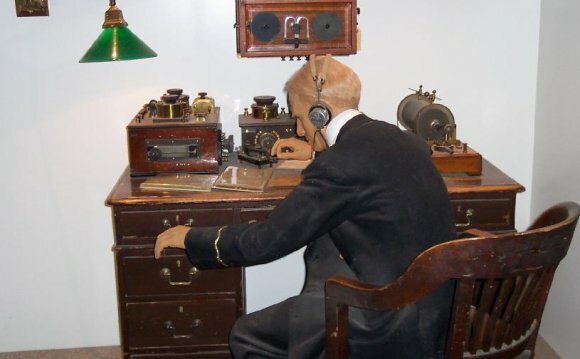 We have selected some of our favorite ham radio related links to post on this page. If you have some suggestions for more links, or find any dead or inappropriate links on this page, please do not hesitate to tell the webmaster about it via email so it can be corrected ASAP. We've attempted to divide them up into sections that might mean something to someone, one upon a time at least. These links will take you away from our site, so please remember to bookmark this site before you depart, and don't blame us for any content you might find on the other sites. As most of my visitors already know, my "day job" is performing computer consulting for businesses and personal needs, and we frequently see computers that were under protected, or not protected at all, from viruses, spyware, etc. One of the better software protection sytems we have found so far, come from the fine folks at GFI Software. Below are links to allow you to buy their stuff on-line direct, without having pay someone like me to come to your house / office to install it for you. They also offer a "site license program" for home computers, allowing you to install on every computer without buying separate annual license for each computer. I've found generally that if you have more than 2 PC computers to protect, this will save you $$. Ham radio contact from Ohio and Italy.